Suppose you have a child disabled from birth whose tiny frail body is wracked with muscle spasms and seizures every minute of every day for the entirety of what you know will be her diminished existence. There’s no cure for your daughter’s condition, but imagine you discover a treatment that eases her symptoms to such a degree that the soul you always knew was in there comes to the surface for the very first time. Unlike the costly medications that have sustained your daughter all of her life, this treatment is fairly inexpensive. In fact, a relative provides it to you at no cost. Side effects are minimal, especially compared to her standard medical regime. There’s just one slight hitch: Despite the fact that a majority of California’s voters approved the use of cannabis for medicinal use in 1997, you’re still not exactly sure if medical marijuana is legal. That’s precisely the dilemma facing the Shasta County parents who are the subject of this story. 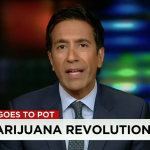 Blame it on CNN chief medical correspondent Dr. Sanjay Gupta, who publicly endorsed the use of cannabis for treating children with seizures two years ago. Thousands of parents of disabled children, including this couple, saw the program and sought out the treatment. The mother, who has never smoked pot a day in her life, put out feelers and word came back via the family grapevine that the treatment was available. She administered the medicinal cannabis through her daughter’s feeding tube and miracles of miracles, it worked. But now she has a new problem. She’s worried that she’s breaking the law and risking the loss of her daughter’s healthcare. I met the mother of the family in early May at a meeting of local cannabis growers where she expressed her frustration with medical marijuana’s ongoing quasi-legal status. She wasn’t alone in her annoyance, as the growers had convened to discuss the implementation of Measure A, the total ban on outdoor cultivation passed by Shasta County voters last November. What was legal last year is now illegal, and most of the people in attendance depended on growing outdoors for income, medicine or both and were grimly contemplating whether they were going to break the law this year. It’s no joke. The Shasta County Sheriff’s Department is now conducting regular, unannounced “215 compliance checks” on selected residences, without warrants and often based on tips from anonymous neighbors, who’ve been encouraged to tattle on their fellow citizens by local politicians and law enforcement. The same situation exists in all of the state’s rural “ban wagon” counties, where growing outdoors has been declared a public nuisance via local zoning codes. Throw in the fact that the U.S. Drug Enforcement Agency still classifies marijuana as a schedule 1 narcotic on par with heroin and LSD, and it’s easy to see why so much confusion about medical marijuana’s legality exists. These overlapping bureaucratic boundaries serve as potential tripwires for parents of severely disabled children, including the mother I met at the meeting, who depend on a variety of local, state and federal programs for expensive long-term care. They worry that choosing to treat a child with cannabis could potentially result in getting kicked off those programs. Upon investigation, there is real cause for their concern. For that reason, A News Cafe.com has granted the mother anonymity so that she may tell her family’s story without fear of repercussion. On a pleasant day in May, I sat down with her in the backyard of her home while a care worker attended her daughter inside. Their daughter has never uttered a word, walked a step or gone to school. They have never, ever stopped loving her. The story begins in the early 1990s with the birth of their second child, a daughter. “When she was born, I thought she felt floppy,” mom recalls. The pediatrician told them it was normal and would go away. A month-and-half later the child began periodically shaking. Again the doctor said it was normal and would go away. The shaking episodes increased in magnitude and frequency. They videotaped one episode that verged on a full-blown seizure and showed the tape to the doctor. Again, the doctor was reluctant to offer any treatment. They took the child to the hospital and refused to leave until the hospital admitted the child. That’s when the testing began. Mom studied the medical literature, learned the names of the conditions no one wants their newborn to have. She prayed it wasn’t this one thing. At the end of all the testing, a somber-faced physician gave them the bad news. The physicians said their daughter’s lissencephaly was so severe, she required institutionalization. Mom and Dad never gave the medical advise a second thought. Knowing their lives would be changed forever, they took their daughter home, where they’ve been caring for her ever since, and some 20 years later, they have no regrets. A preacher even offered to cast out the demon possessing her child. “I can guarantee you she has no sin so cast the devil out of yourself!” mom scolded him. Today the child who was supposed to live three months receives nutrition and medicine, including cannabis oil, through a gastrostomy tube inserted into her abdomen. She appears to have stopped growing sometime before the age of 10 and requires a thoracolumbar sacral orthosis brace to sit upright. Her limbs are in constant, random motion. Fine blond hair her mom has styled into a faux-hawk frames her pale, delicate features like a halo. Two years ago, mom’s ears pricked up when she saw Dr.Gupta’s program on the efficacy of cannabis for treating seizure disorders in children. “I saw that it was a natural thing that stops seizures that didn’t have horrific side effects,” she recalls. There’s an expansive medical marijuana network in Shasta County, and many of its members are eager to provide medicine to sick children for low or no cost, both because they’re altruistic and it’s good publicity. Mom’s prayers were answered when a relative stepped forward with medical grade certified organic cannabis oil. It took exactly one dose to convince her it works. As it turned out, it wasn’t that easy. 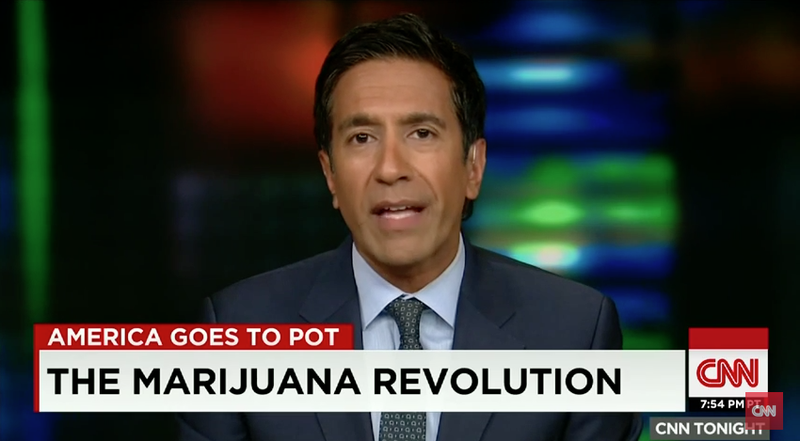 The cannabis oil popularized by Dr. Gupta is high in cannabidiol, or CBD, one of more than 80 chemical compounds in marijuana known as cannabinoids. The most well known cannabinoid is THC, which produces the “high” users describe. CBD doesn’t get users high in the same sense, which is the main reason it has become a popular choice with parents. However, it’s now becoming clear that cannabis can be tailored to individual patients and ailments by adjusting the ratio of CBD, THC and the other compounds. Mom eventually settled on a cannabis oil that had a little of both. I arrived at the house in the afternoon, just before her daughter received her daily dose of cannabis oil. An in-home caregiver was attempting to soothe the daughter’s obvious physical discomfort. Mom and I talked for several hours, and by that time dad had come home and their daughter had received her cannabis dose. Their daughter appeared to be feeling better and was sitting up, her eyes tracking a party balloon floating above her head and then turning toward her father, whom she seemed to recognize. Shasta County’s crackdown on all outdoor marijuana growing could potentially effect the supply of medicinal cannabis available to patients, including the young woman who is the subject of this report. If the friend of the family chooses not to grow this year because the law has changed, medicine will have to be purchased at one of two local dispensaries in Shasta Lake City or from another source. 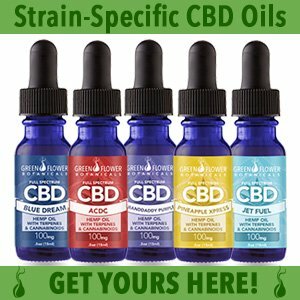 CBD oil sells as high as $100 per gram, which for many patients is the minimum daily dose. Do the math: That’s $36,500 per year for a treatment that’s not covered by any insurance company. Mom’s not currently worried about her daughter’s cannabis supply being interrupted. She more concerned about her daughter passing into legal adulthood and “aging out” of the current medical services she is provided. It entails changing hospitals, doctors and caregivers, each of whom may have their own regulations and opinions regarding medical marijuana. She has informed her daughter’s current specialist about using medicinal cannabis, and he is supportive, but what happens when her daughter has to switch to a new physician? As previously mentioned, parents have reason to worry, thanks to the uneven application of local, state and federal marijuana laws. A News Cafe.com reached out to a number of local healthcare providers in an attempt to discover if any uniform policy toward medicinal cannabis exists, and so far the answer is negative. Dr. Peter Rogers is medical director of Green Hills Natural Health in Redding and one of Shasta County’s leading medicinal cannabis specialists. He advises medical marijuana patients and caregivers to be honest when dealing with new healthcare providers, but when asked specifically about the case outlined here, he also advised caution. 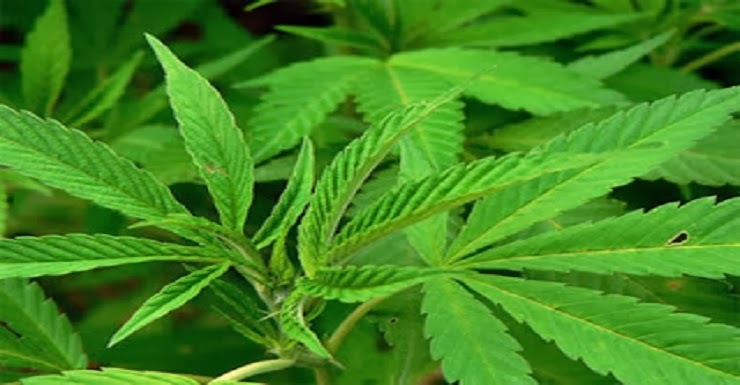 Dr. David Canton, Chief Medical Officer of Shasta Community Health Center, told A News Cafe.com that the center has no specific policy regarding medicinal cannabis. While its physicians don’t prescribe marijuana, they are free to permit patients to use it in most cases. Dr. Canton emphasized patients suffering from AIDS, cancer and other serious or terminal diseases are granted flexibility on a case-by-case basis. Like Dr. Rogers, he advised that honesty is the best policy. Patients on Medi-Cal, including those covered by the Affordable Care Act (Obamacare) may need to exercise more caution when approaching physicians about medicinal cannabis. While the main provider in Shasta County, Partnership Health Plan of California, does not have an official policy, the majority of its nine local clinics told A News Cafe.com they do not work with medical marijuana patients. Period. My gut feeling is that most physicians would readily consent to the treatment. But a deal is a deal, so for now she’ll remain the medical marijuana mystery mom.